The Isis Mobile Wallet app for T-Mobile is now live on Google Play. Rumors across the web are suggesting that T-Mobile is going to launch the mobile payment service on October 22 in two test markets, the same day that our sources said Verizon plans to. The app going live early is a bit surprising though, especially since T-Mobile and Isis haven’t actually announced that the service will go live on the 22nd. For now, the app itself is sort of useless. 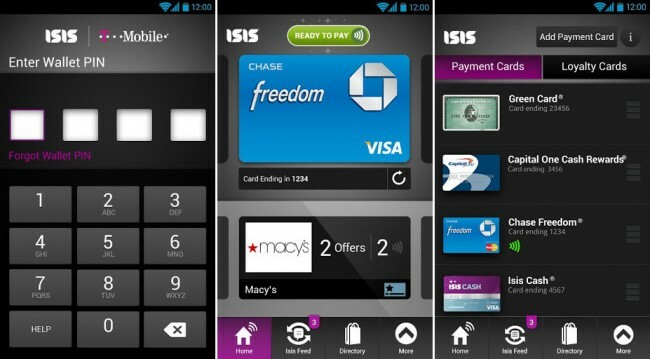 In order to use Isis, you have to have an NFC-SIM card, a supported device, and shop at a retailer that is “Isis Ready.” For T-Mobile, the supported devices will be the Galaxy S3, Galaxy S2, and Amaze 4G, all of which are NFC-equipped. To see the Isis “ready” phones for all carriers, hit up this link. It shouldn’t be long now. With the app going live, T-Mobile and Isis will likely make an announcement any day.